Use of social networking sites to help enhance treatment for anxiety, depression and insomnia! Before going deep into what I stated above I need your biased answers on the following questions. Did you sleep comfortably last night? Could you be suffering from insomnia? Did you answer “yes” to the third question? Don’t worry, you are not alone! It’s a common phenomenon—approximately 1 out of 4 people suffer from this sleep disorder, and some of them don’t even consider it a disorder in the first place. 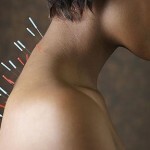 However, there are others who have swallowed all possible drugs available in the market to get that good night’s sleep. 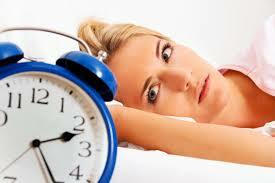 Insomnia is not restricted to a certain age group but it certainly affects women more than men. It commonly exists in people who are chronic alcoholics, lacking mental stability, and people belonging to lower socioeconomic (income) groups. Stress is another common trigger. Read Also: How Sleep Is Important to Stay Calm at Difficult Situations? 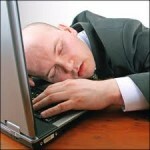 If you are an insomnia patient and you do not address the problem on time, it may develop into chronic insomnia. You may find some relief in social networks—they can be a great tool to combat lack of sleep. These sites provide a wide platform for insomniacs to access relatives, friends and also the therapists even at mid night. There are hundreds of groups and community pages that already exists on Facebook and Twitter where insomniac and other sleep disorder patients share their experiences about the problem and the treatments. What Diagnostic Technique Are Widely In Use? Do you know what is keeping you up late at night? There are various techniques used to analyze the problem and its possible causes but the cognitive behavioral therapy is the most sought after among them all. Therapist analyze the sleep pattern and various activities that affect sleep. 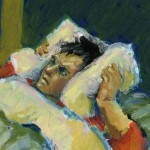 Cognitive behavioral therapy consists of various exercises and computer learning activities that help understand insomnia patient’s behavioral patterns. To understand insomnia patient’s interactive patterns, therapists largely advocate people interaction at whatsoever platform they are comfortable in. Looking at this, the increasing use of social networking sites can help find better ways to solve the lack of sleep issues under cognitive behavioral therapy treatment. Particularly the ways in which people engage in social networking activities, and figure out how many times they access these activities, enables therapists ways to diagnose insomnia. On the other hand, people frequently report how they feel making use of status updates and tweets, which they would have not appreciated while they are asked during a normal conversation. Along with that, health related contents, real instances written by real people, particularly regarding insomnia are growing in both supply and demand. If you constantly lack sleep during nights and you suspect about insomnia symptoms, talk to your doctor. Apply a few dietary and lifestyle changes—lifestyle changes are sometimes more than enough to get rid of such sleep related issues. Medication might be added to improve your sleep pattern. An easier way is–go online and see what other people are doing to fight insomnia.